*Water bills are due on Monday, May 6, 2019. In an effort to provide our residents with a higher level of customer service, the Borough of Pine Grove now accepts credit and debit card payments for water service. The Borough utilizes the services of MuniciPAY with Visa, MasterCard, Discover, American Express, or e-check. Effective October 1, 2016 the user fee of 2.65% or $3.00 will be assessed per transaction, whichever is greater. The fee for e-check is $1.50. The Borough does not collect, receive or retain any portion of the service fees. The fees are charged by MuniciPAY in order to provide the service. MuniciPAY is an electronic payment processing option currently used by local Schuylkill County municipalities designed specifically for local government and utility agencies. Customers may continue to pay by cash, check or money order at Borough Hall Monday through Friday 8:30 a.m. to 4:30 p.m. Additionally, checks may be mailed to Borough Hall at One Snyder Avenue, Pine Grove, PA 17963, or deposited in our 24/7 Drop-Off Box located on side of the building located by the Police Department entrance. 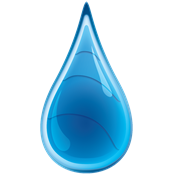 JUST A REMINDER THE ON-LINE BILL PAYMENT IS ONLY FOR WATER BILLS. We are pleased to inform you that the 2017 Annual Drinking Water Quality Report is available for viewing. It will no longer be mailed to your home as in past years. You may pick up a free copy at the Pine Grove Borough Hall at One Snyder Avenue in Pine Grove, or click on the link below.